for Skin, Hair and Nails! Emu oil has benefits for skin, hair and nails. It's a hypoallergenic, non-toxic, all-natural substance that comes from the fat of the Emu. Emus are large ostrich like birds standing about 6 feet tall and weighing up to 120 pounds. They're capable of running up to 30 m.p.h., (especially when threatened), and can swim. These shy and inquisitive animals are common in Australia. Emu oil is a natural emollient used in applications, for people and pets! Beauty products use it to improve the condition of skin, hair and nails. It's in soaps, shampoos, conditioners and nail care products. It's in pain relieving products like lotions, creams or ointments. It relieves strains, sprains and muscle soreness. It's found in pet grooming products! Emu oil is the most penetrating oil known to man. It penetrates deep within the skin's layers where healing and skin cell regeneration occurs. Its three essential fatty acids, Omega 3, 6 and 9, are vital for healthy skin cell reproduction. Research indicates it thickens skin reducing the visible signs of aging. Fine lines, wrinkles, age spots, scars and stretch marks diminish. It carries oils or medications deep into skin. Emu oil has vitamins A and E with powerful antioxidants! It's anti-septic and anti-bacterial. Skin is soft and moist with a radiant glow. It helps get rid of blackheads and won't clog pores. It's mild and gentle. 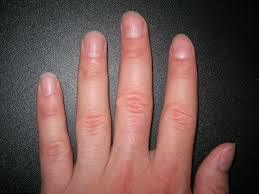 Do you have brittle nails? Soften cuticles and increase nail strength. Emu oil relieves pain and inflammation. Relieve joint stiffness and painful arthritis. Accelerate healing of small wounds. Lessen the pain of burns, sunburns, strains, sprains, minor irritations, muscles, joints, stings & insect bites. All of these skin conditions benefit from Emu oil: dry skin, dry itchy skin, dry flaky skin, acne, eczema, psoriasis, diaper rash, shingles, sunburns, wind burns, acne scars, fine lines, wrinkles, age spots, chapped skin, redness, minor irritations and more! Follow these homemade skin care tips! Discover soft and supple skin! For whatever type of application, use a high grade, pure, Emu oil that is fully refined to avoid contaminants. Some oil has been tested by an American Oil Chemist Society, (AOCS), certified chemist and certified to meet specifications for the Emu Oil Fully Refined Trade Rules and American Emu Association, (AEA), certified. Do you have thinning hair? Emu oil can help reverse hair loss! It penetrates deep to stimulate hair follicles, helping to restore and thicken hair. Studies have shown a 20% more active hair growth in people that use emu oil on the scalp. Do you have dry itchy scalp conditions? It moisturizes the scalp and helps get rid of dandruff, by reducing flakiness. Restore body, shine and softness to hair. Emu oil is used in pet grooming products: soaps, shampoos, conditioners, ointments, etc... It improves minor skin irritations. It helps get rid of ringworm, fleas and ticks. It relieves painful arthritis of muscles and joints. It helps provide a soft and shiny coat.